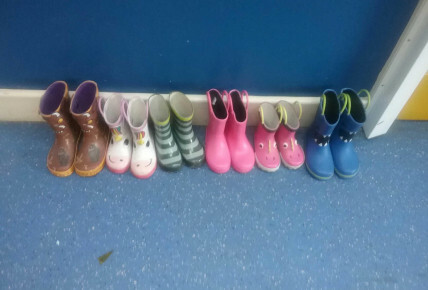 The children have been very excited to watch the snow falling this morning, and have all come dressed in their wellie boots and warm hats, coats, scarves and gloves ready to go outside and explore. 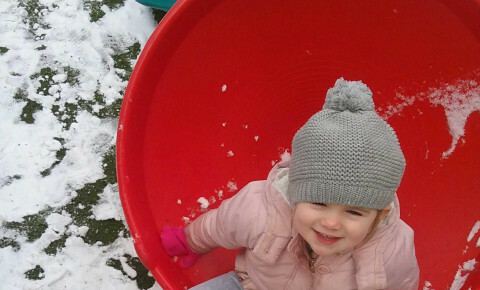 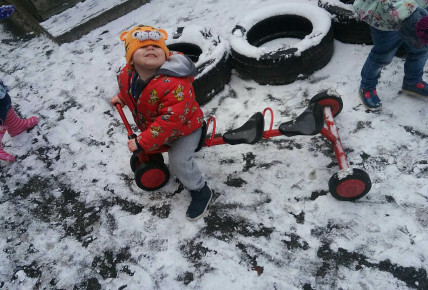 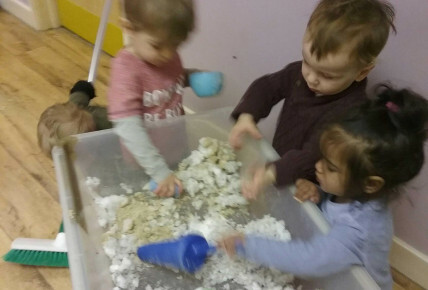 They had lots of fun exploring the snow, feeling it in their hands and making snow balls, though there wasn't quite enough to build a snow man. 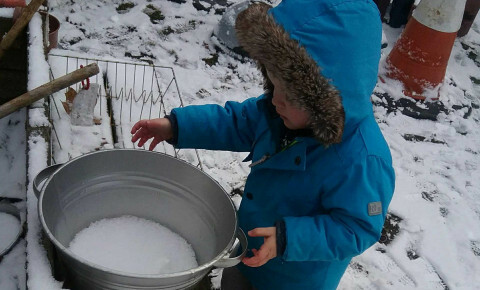 Once it got too cold and the children were ready to come back inside to the warm, they collected snow up to bring inside and explore in the water trays.